Hope you're all well and enjoying the lovely Sunshine. I am thrilled to be hosting another Pamela Mann Tights Giveaway for you all! They have a huge selection of gorgeous Tights, Stockings & Socks for every occasion in sizes 8-32. You can catch up with my review of the fabulous Pamela Mann Tights here. 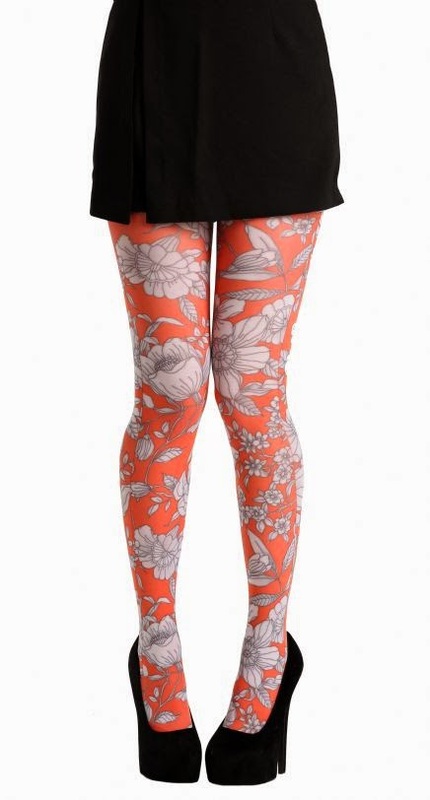 So if you fancy winning a pair of these amazing Floral Printed Tights in Green or Orange enter below! 2. The Winner will need to give me their details to pass onto Pamela Mann Tights for your prize to be sent to you, remember to include what size and colour you would like. 3. Winner will be announced on Friday the 25th of July 2014 at 12pm.